Want to get the most out of your favorite workout, training routine or group exercise class? The Matrixx Power Suit can be used with any workout or activity to add extra resistance, burn more calories and much, much more. It's so comfortable you can even wear it while doing sit up's! The video clip above shows Jen from CrossFit Bay Area working on her Muscle ups wearing The Matrixx Power Suit for added weight, resistance and compression. 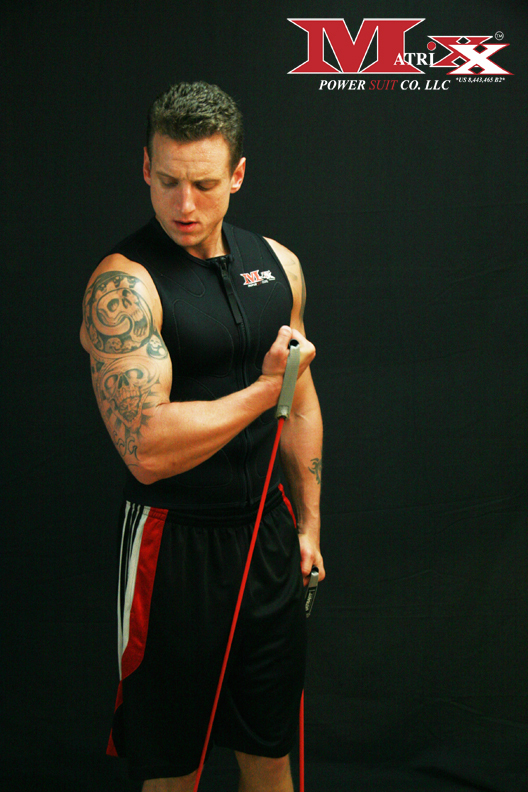 The best part of this weighted vest is that it doesn't shift or throw off your natural movement and it stays put during moves like this. It also uses rubber weights that mold to your body and will not hurt you if you screw up and fall like an iron weight vest does.